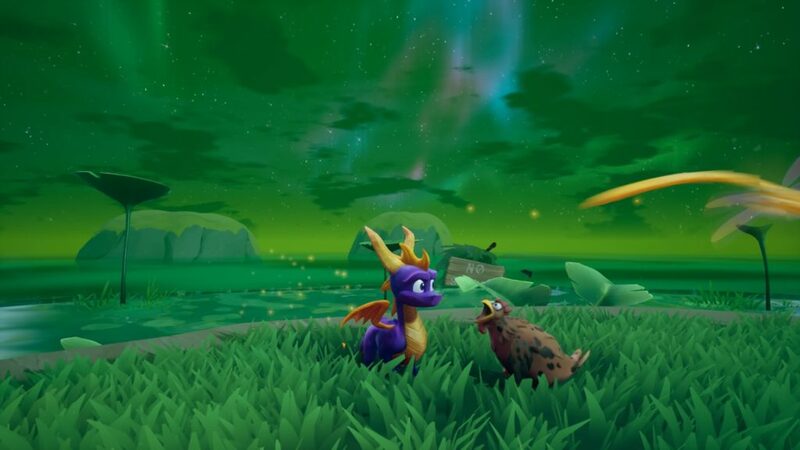 Having missed all the original Spyro games I was pretty happy when the Reignited was announced though I was also a bit worried. Often remasters don’t feel particularly good to play, especially for people who don’t have nostalgia to carry them through. Too often remasters feel locked in their time and if you missed it, it can be hard to move past. 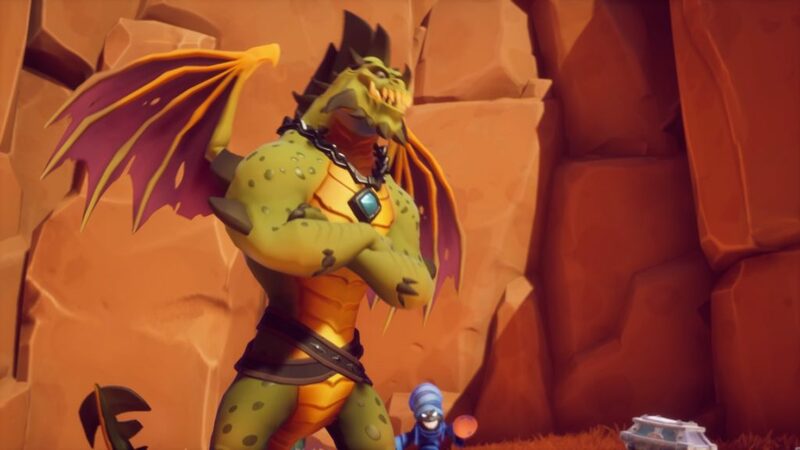 So it was with a bit of trepidation that I started to review Spyro Reignited, and I have to say I was instantly pleasantly surprised. All three of the Spyro games feels like they could have been new releases this year and were mostly fun to play. This is our Spyro Reignited review. The first entry into the series starts off humbly enough with all of Spyro’s dragon friends being turned to crystal. 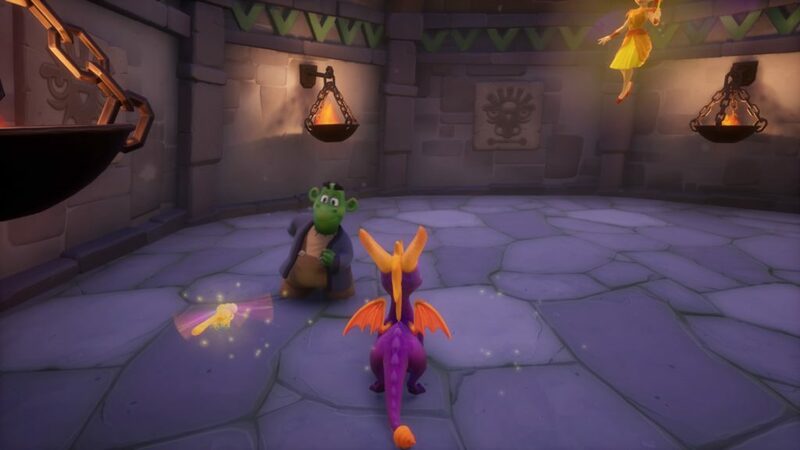 The mission is simple: Rescue the dragons and defeat Gnasty Gnorc. The whole intro cutscene is cut and fun and this carries over into the game immediately. 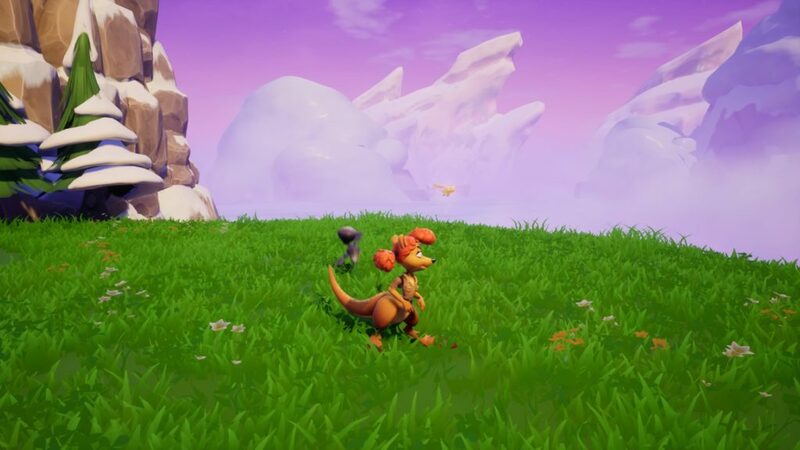 Within the first five minutes of gameplay, I was happily laughing because everything about how Spyro moves about and interacts with everything is a ton of fun. Even his idle animations are great. All of this added with the music and sounds in the game made everything seem like a lot of fun from the first moment. Spyro is also accompanied by his dragonfly buddy Sparx who can actually save Spyro from dying 3 times before he dies. When Sparx is yellow you have full lives left, blue 2 left, and green is 1 after which point Spyro will die if he takes damage. This color system is also reflected on the light on the PS4 controller with the added color of red if Sparx has been all used up, which was a nice addition. Additionally, Sparx can be repowered by killing the various critters in the levels and letting him eat the butterfly which results from this. Alternatively, if Sparx has been all used up the butterfly will just turn into him. He’s a magical little dragonfly. Spyro has no health bar to worry about but if he takes damage from anything it takes one of Sparx’s saves. There’s no need to worry about taking damage from falling or crashing into anything. Though stepping a single toe into water will also use up on of Sparx’s saves and will kill Spyro if you don’t get him out of there quickly. It’s a really straightforward system for health and combined with Sparx’s color makes keeping track of how I was doing pretty easy. After saving a dragon the spot where they were turned into a save point which was very helpful. This was especially helpful when there was something I knew would be difficult for me. I easily could backtrack to the save and then proceed without worrying about losing progress. Additionally, most of the dragons often offered advice about how to proceed or about how the various controls work. Unfortunately, most of the time these pieces of advice came after I had already figured out whatever they were telling me about. Hilariously sometimes I even had to figure out how to do a thing in order to get to the dragon who told me how to do that thing. I’m not sure if I was going through things backwards, it wouldn’t be the first time, but yea most of the dragon tips were pretty useless. Also, I really enjoyed the fact each zone within a world could be done in any order. Even the boss zones could be done first if you wanted. One of the reasons I really liked this is because I often thoroughly explored the hub world before doing any of the zones. I just really liked getting a solid lay of the land beforehand, and I didn’t mind having to reclear mobs after zoning back in because every time I killed them I got another pip towards earning an extra life for Spyro. It just added more variety to each world which helped prevent everything feeling monotonous. 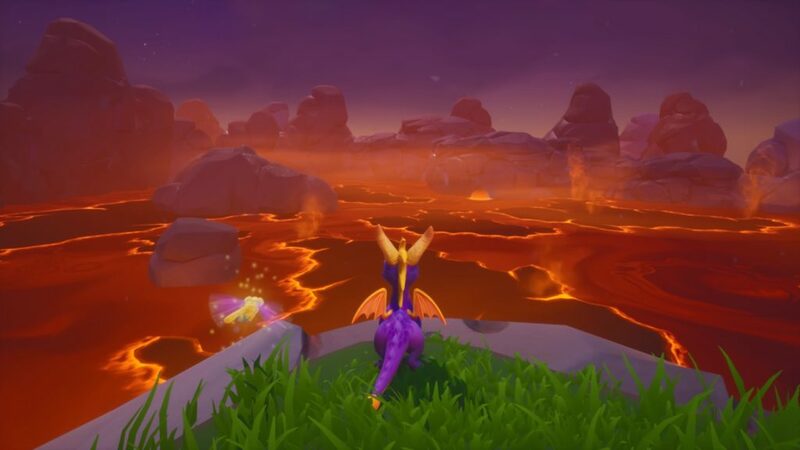 In addition to the regular zones in each world, there are also flying zones where Spyro has to fly a course and accomplish various tasks. I really really didn’t like these zones. My problem though is I hate the controller being inverted and there was no way to change the controller set-up for flying in the options. 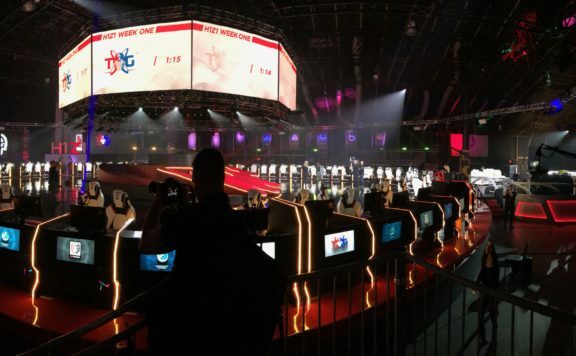 Changing the inversion settings only changed things outside of the flying zones. If I had been able to make this simple change it would have drastically improved my enjoyment in this aspect. Thankfully, unless you are going for a 100% completion game, the flying zones are not required. For anyone who isn’t bothered by an inverted controller these zones will probably be a lot of fun and could definitely be quite challenging. 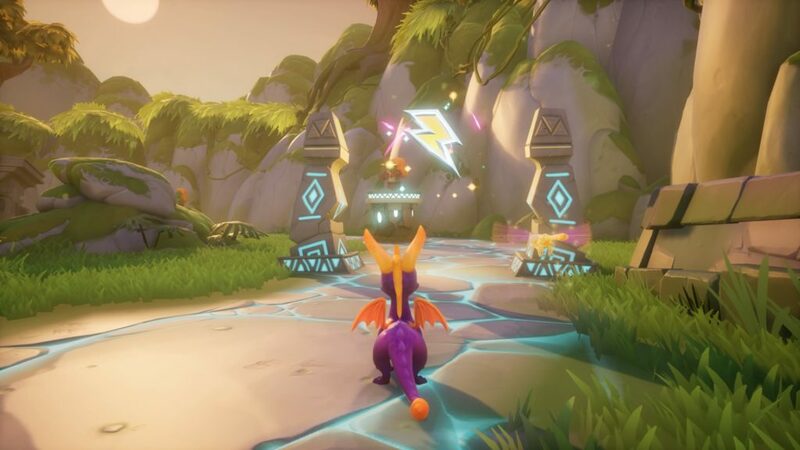 My one real big gripe about this game though is the Gnasty Gnorc zone. This first important thing to know here is this zone has no dragons to save so there are no save points. This would have been ok if this zone wasn’t also a chase down the things zone. Basically, I had to chase down two thieves and then chase down Gnasty Gnorc himself to win. Unfortunately, there are a lot of platforms while chasing Gnasty Gnorc and every time I accidentally fell off a platform I had to start the whole thing over from scratch. This was mostly frustrating because it was a complete departure from every zone before it. If there had been a save after catching each thief it would have been fine and would have greatly reduced the frustration level I had for this zone. Whereas Spyro the Dragon started off instantly fun and entertaining this installment started off annoying and frustrating. 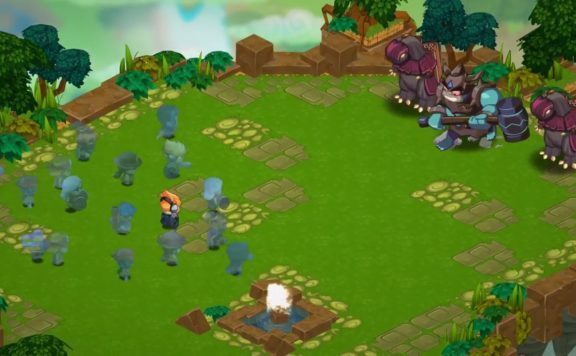 In this installment Ripto has taken over Avalar and a Professor, a fawn named Elora, and a cheetah named Hunter summon Spyro to come to save them. All of that is fine but some of the changes to the basic systems is where my frustrations lay. On the upside, Spyro has learned how to swim between the two games, which is awesome. The downside is in order to learn to swim underwater you have to pay Moneybags gems. The same thing goes with learning to climb. This system creates two main problems. The first is, it just doesn’t feel rewarding or interesting to buy skills from some random greedy bear. It could have been so much more rewarding to learn these skills through actual gameplay, but this was just underwhelming. The second downside is now forced backtracking was suddenly added into the game. One of the things I really appreciated in the first game was even when trying to 100% a zone there was very little backtracking needed. I could pretty much do everything the first time around. Another negative change between the two games was the complete freedom of what order to do zones in was partially taken away. Most of them could be done in whatever order you wanted but you had to get the talisman from each world before you could go through the portal and fight that world’s boss. I guess they had decided doing the boss first wasn’t ok? I mean thematically it makes sense but it just made things feel forced and was another annoyance for me. One change I did really like though was each zone also had a special power gate which only powered up after killing a certain amount of enemies (the number required varied by zone). These special powers did things like giving a fireblast breath weapon, high jumping, super flight, and making Spyro immune to lava. 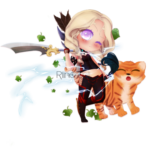 All of these abilities allowed him to gain access to new areas and just generally do new and interesting things. With the addition of these special powers also came mini-games. The first mini-game I found was through using a high jump ability I reached a much higher platform and discovered ice hockey. First of all… Spyro skating around on the ice is just adorable. Then when you add in the fact he scoops up the puck in his mouth and spits it to take a shot at the goal… Well, let’s just say it’s very well done and a ton of fun. I easily spent at least 20 minutes there just playing ice hockey, it was that much fun. There are other mini-games as well, this one was just my favorite. One of the nice things about the mini-games though is they help to break up the game a bit and kept things feeling fun and engaging. In addition to gems and Talismans in Ripto’s Rage there’s also green orbs to collect and while there are a few laying around most of them have to be acquired by doing something specific. For example, a couple of orbs could be won from playing the ice hockey mini-game. Or more often one of the inhabitants in the zone I was in needed help with some task, and helping them yielded an orb or two. These orbs were often required to unlock the boss level for that world. For the most part, I didn’t feel pressured to go out of my way to get these orbs as I generally just had enough just doing the things I enjoyed. However, in order to unlock the portal for the last boss of the game, Ripto himself, I needed 40 orbs and I was nowhere near that. Overall things in this game just felt a bit more forced and a bit less fun. In the first game I was generally happy to figure out how to get a 100% in most zones, but in this game with the addition of forced backtracking, I was much less motivated to. It was still an amusing and fun game, it just had lost a bit of the shine from the first game. In the final installment of this series, an evil Sorceress has stolen all the Dragon eggs and only Spyro and Hunter can fit through the tunnels to retrieve them all. With a return to the general idea of the first game they also went back and recaptured some of the magic of it as well. Though they also brought forward some of the choices I didn’t really like from the second game. For one, Moneybags is back and charging exorbitant fees for access to various areas and to release certain characters from being held captive by the Sorceress. It’s just frustrating. On the upside though Spyro did remember his skills learned in the last game so I didn’t have to repurchase those as well. Moneybags does eventually get what’s coming to him to him but I wish it hadn’t taken so long. 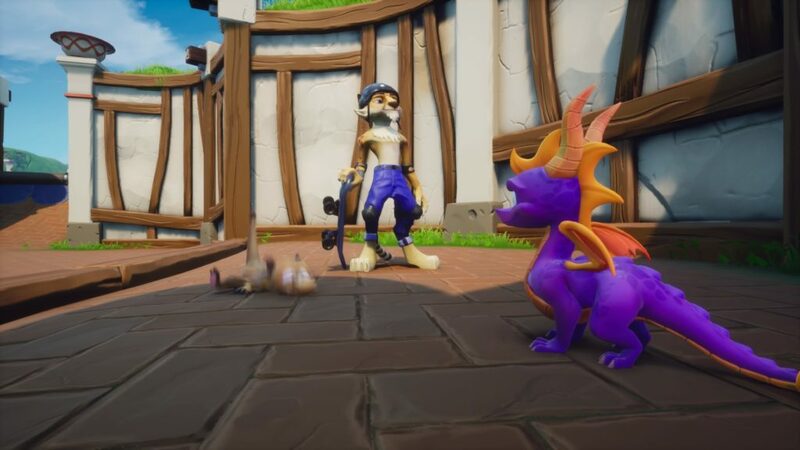 The best new addition to the game, however, are the characters Spyro frees from Moneybags. All of these characters have their own worlds and zones to play through as that character with their own special ways of interacting with the world and moving around. Sheila the kangaroo was probably my favorite because she had a high jump and a double jump which were a lot of fun to mess with. Bently the yeti was a lot of fun as well, I mean who doesn’t like to just run around smashing everything? His giant club did obstruct the view a bit though and I sometimes had trouble aiming where he would hit. Unfortunately, since Spyro’s various skills were already learned this is how Insomniac introduced backtracking in this game. Often I’d find the portals to go into the various characters mini zones way before I found them or had enough gems to release them. Because of the high egg cost of some of the areas near the end of the this meant I often had to go back to old zones for these mini areas. 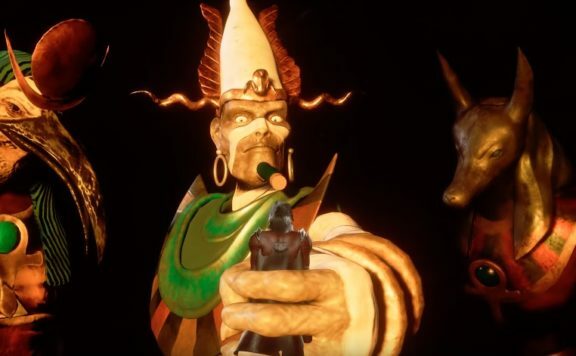 In addition to opening up new areas in zones the character who you rescued also showed up in that world’s boss fight to lend a hand. The incorporation of these characters into the fights was actually pretty interesting and helped highlight some of the skills which made them unique. The one real downside I had with the boss fights though is it’s the one area of the game where I couldn’t freely move the camera around to get a good look at where things were. Since I was often looking for items Spyro’s friends had left to help him this was a real pain. It also artificially made the boss fights much more difficult than they would have been otherwise. One thing worth noting here is reaching the return portal in these zones was really only the beginning of most zones. Often I’d reach them when I was at sub 20% of the zone complete. This bothered me mostly because in the first game reaching the return portal meant I had found the end of the zone and most of the time I was pretty close to finishing up. Having these pop-up so early really made the majority of every zone feel superfluous. On the upside though most of the zones were a ton of fun to be in and I didn’t mind spending more time there. With the exception of the underwater zones. Since underwater uses the same control scheme as flying I really dreaded all of the underwater areas. 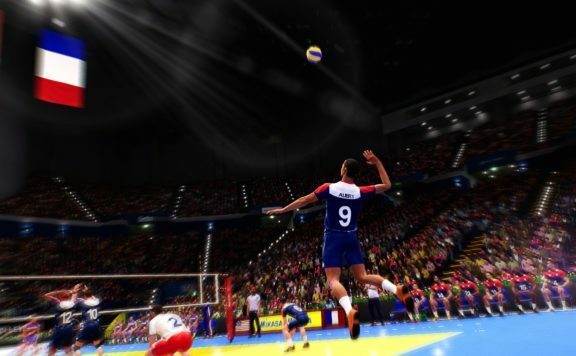 Mini-games were also back in this installment and they really picked up the ball and ran with it this time around. One of the first ones is a skating park Hunter found. Spyro skates around on a little skateboard and will even do some tricks, though if you aren’t paying attention to what you are doing it’s easy to wipe out and break the skateboard. Thankfully the first challenge isn’t timed and it doesn’t matter how many times you crash. 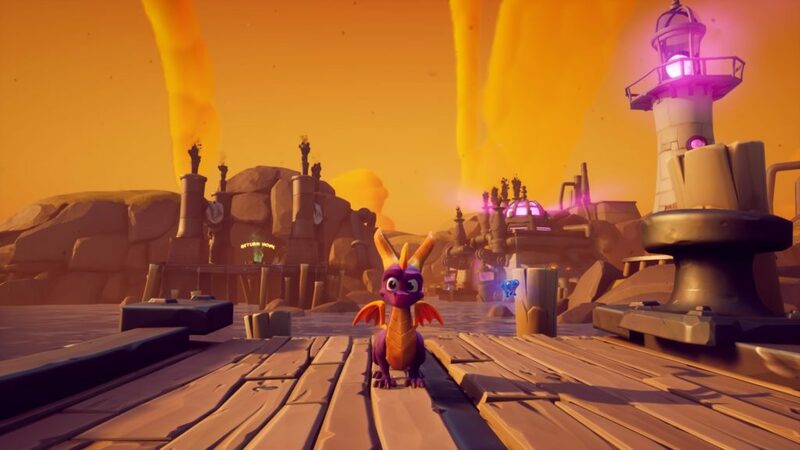 Reignited is a very well done remaster and was well worth the time and effort put in by the developers. 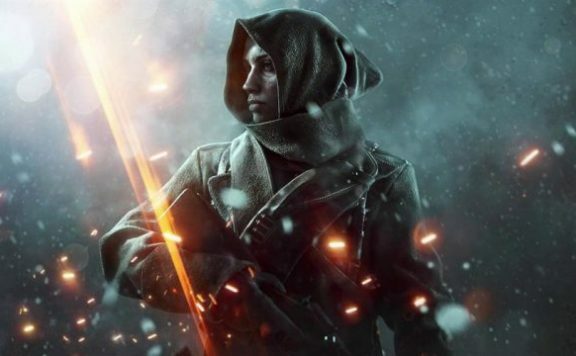 Everything looks, feels, and sounds as if it could have come out this year as a brand new game. All three games are fun though the first and second are the strongest entries in the series. 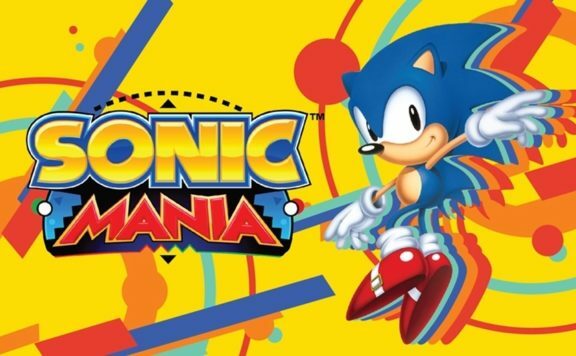 As platformers go these games aren’t incredibly challenging, but there are some spots which can be fairly difficult especially when trying to 100% the games. 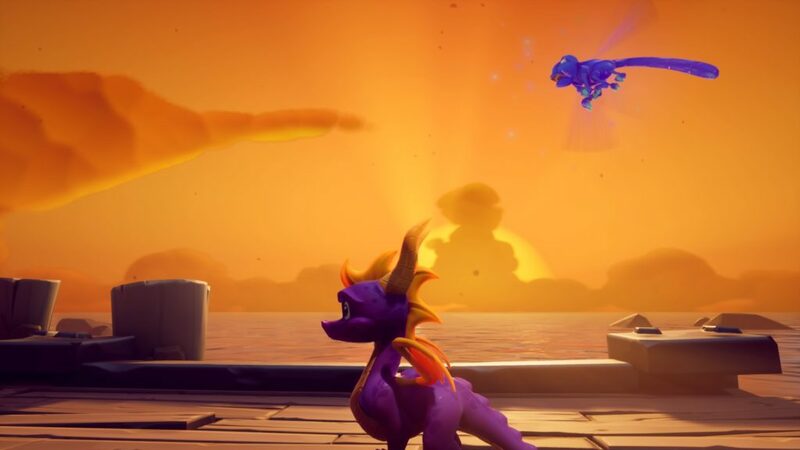 Reignited is a very well done remaster and was well worth the time and effort put in by the developers. Everything looks, feels, and sounds as if it could have come out this year as a brand new game. All three games are fun though the first and second are the strongest entries in the series. As platformers go these games aren't incredibly challenging, but there are some spots which can be fairly difficult especially when trying to 100% the games. Can't move camera view around in boss fights in the third game.